This listing expired on September 30, 2012. Please contact info@digventures.com for any updated information. With the Flag Fen Lives project, DigVentures is launching Europe’s first-ever crowd-funded and crowd-sourced archaeological excavation. We’re running the project through a fantastic partner, Sponsume, who will help us manage the campaign. Our funding window will be open 29th February – April 2012, during which time we need to raise £25,000, to fund our excavation this summer. Back us now! We will be building a community with archaeology at its heart: our funding ‘Venturers’ will be a part of the project from start to finish. The only difference will be the benefit level that you purchase. Starting at the £10 level, you will have a ‘backstage’ pass to the Site Hut, a password-protected area on our website offering daily updates on the project, and loads of original content including apps, blogs, on site streaming, interviews, lectures from archaeological superstars, photos, finds news and more. This access is for the duration of one year, until the 2013 season gets underway next April. The field school at Flag Fen (for those who purchase a benefit at £125 and above) will be really exciting this year. We’ve put a lot of thinking into making this the best experience possible, whether you are digging for a day, a week, two weeks, or the whole project. There will be dedicated staff providing orientation, training and instruction, as well as evening lectures, fun outings and plenty of time for questions. And some surprises, of course! Places in the field school (from 23rd July – 12th August 2012) are limited and will be available on a first-come, first-served basis, and are only for those aged 17 and older. 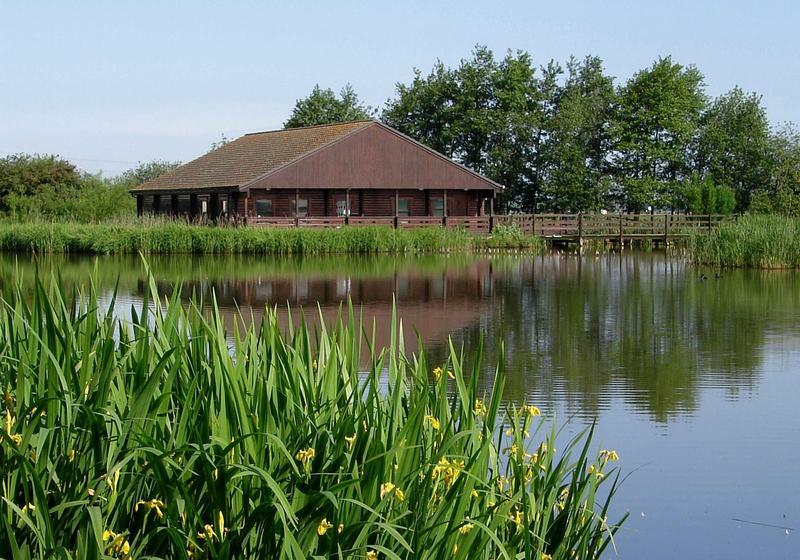 Located just outside of Peterborough, Flag Fen has a vibrant history and is internationally acknowledged as one of the most important Bronze Age sites in the world. Due to extensive drainage and development of the surrounding area, the archaeology is in jeopardy. It is estimated that a large part of the site will be lost within the next 20 years if work is not carried out now. Flag Fen was discovered in 1982 by Francis Pryor MBE, during a project to complete a dyke survey for English Heritage. It’s a classic story along the lines of how so many truly amazing sites are found: through chance, a bit of a stumble, and a lot of luck. But from the moment he picked up that first piece of pointed, shaped wood – showing clear tool marks made by an axe roughly 1.5 inches wide – Francis knew that he had found something special. It would take him years to untangle the archaeology at Flag Fen, and what it might have meant to the ancient people who built it. The Flag Fen basin is an area of low-lying land on the western margin of the Fens, just south-east of Peterborough. To the east and west, the land gently rises and is flood-free. The eastern dry land is known as Fengate, and the west as Northey. In the middle lies Flag Fen, where peats began to form in the increasingly wet environment, around 2000 BC. The archaeology of the area has been studied in detail, but our focus in on what began to happen at Flag Fen in the Middle Bronze Age (c. 1300 BC), when farmers in the Fengate and Northey area began to experience difficulty in their fields with increasing wetness from rising water levels. A causeway, built of timber, was driven across Flag Fen, linking the two areas of higher and drier ground. This causeway, known as a post alignment, was constructed of large posts arranged in five rows. Between the posts, timbers were built up horizontally, which provided the surface for transportation. Closer to the Northey side of the causeway, an artificial timber platform was constructed, the purpose of which is yet to be fully revealed. We do know that some part of the purpose of this platform must have been ceremonial, however, as the area around it has produced thousands of finds, including metal, stone, shale, ceramic and other objects, along with cuts of meat, food and perishable items. These items were placed in the water around the platform deliberately, with many showing evidence of having been broken or damaged prior to placement in the water. 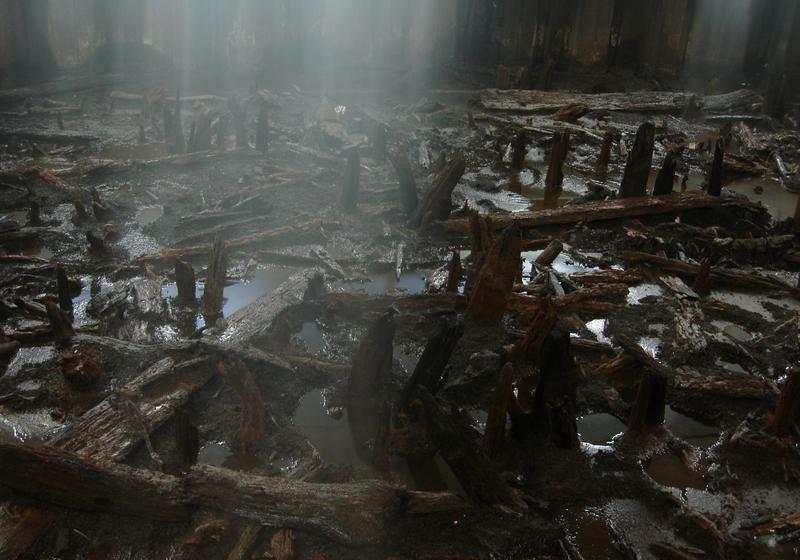 The last timbers of the post alignment and platform were added approximately 900 BC, but the site continued to be visited throughout the Iron Age. One of the most important aspects of the archaeology at Flag Fen is the preservation environment created by the peats. Many items of leather and wood were kept in nearly pristine condition by the lack of oxygen in the peat, and thus the artefacts are an incredibly important and unique record of Bronze Age life. Flag Fen is open to the public, and makes for a fantastic visit back to the Bronze Age. The site has a Museum, which displays many of the artefacts found on site, including the famous Flag Fen shears and the oldest wheel in England. Additionally, you can visit the Preservation Hall, which shows a 10m section of the excavated timbers, and is the only place in Europe where it is possible to view this kind of archaeological remains. There is also an extensive archaeological park, including two reconstructed roundhouses, a section of Roman road, gardens and – beginning in July 2012 – the DigVentures excavations. The 2012 fieldwork season can best be described as an evaluation – a chance to take stock of the site archive, and assess through targeted excavation precisely how much the site has deteriorated since its last investigation. If we are successful in funding this season’s essential work, the results will be used to develop a major five-year project design, encompassing research and excavation. This season’s work is therefore the first phase in what we are hoping will be a four-phase programme, designed to ensure the site lives up to its future research potential. To bring the Flag Fen Archaeology Park to life by making live excavation the beating pulse of the visitor experience whilst building a new global online audience. 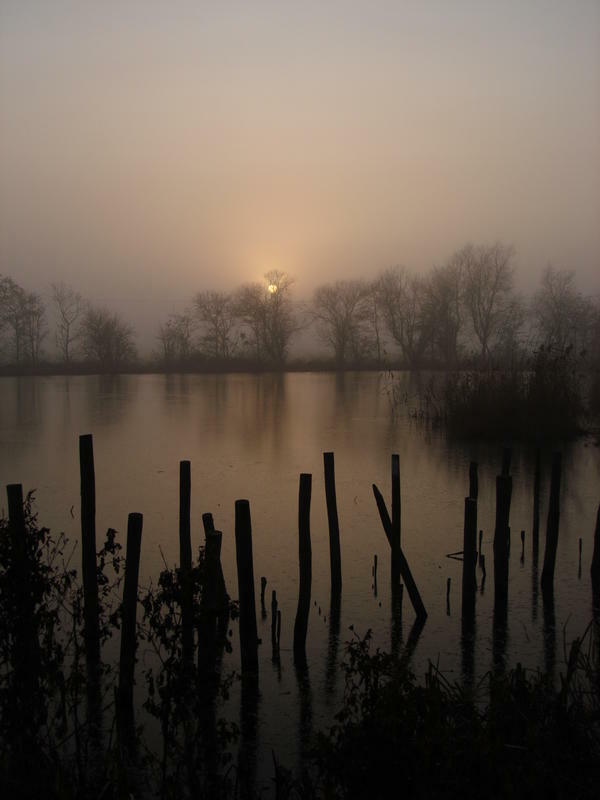 To provide detailed scientific information on the preservation environment at Flag Fen to assess the long-term sustainability and life of the monument in the face of drainage, farming and development impacts. To understand the past lives of the people who inhabited the Flag Fen basin – how their social identity (aspects such as status, kinship, ethnicity or gender) may have been influenced by living and working in such a dynamic landscape, and how this in turn conditioned their response to long-term environmental change. Palaeoenvironmental sampling and on-site processing, to assess the potential for a multi-disciplinary palaeoenvironmental research strategy. If you are new to archaeology, don’t worry if you don’t immediately understand the technical details of all this. Whether you’re digging with us for a day, a week or longer, we will do our best to explain the background reasoning to everything we do, as well as teach the basic archaeological skills you will need to work on site. 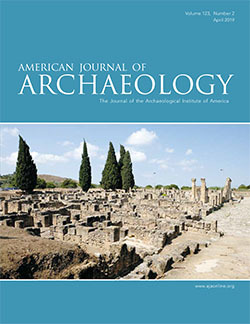 You will be contributing both funds and hands-on support to archaeologists undertaking a genuine, internationally important research project. NB: this lecture will include a geophys masterclass during the day. We will be camping amidst the round houses and Bronze Age field systems - all cooking and washing facilities will be provided. The campsite will be enclosed by fencing and is within sight of the Visitor Centre, however we have arranged for a lock-box for valuables, as needed. Given the fantastic location, we are hoping most people will camp. There are hotels and B&Bs in Peterborough, but you will be responsible for those arrangements, as well as travel to and from site. We will provide breakfast and an evening meal, but you will need money for lunches, laundry, activities and the odd whip-round for extra cookies and cakes! We will do our best to cater for vegetarians or peole with special dietary needs, however facilities are basic. If you have severe allergies or other dietary issues, please plan to bring supplies, and do let us know ahead of time if there’s anything we can do to help. Pryor, F. M. M., 1998. Farmers in Prehistoric Britain. Tempus, Stroud. Pryor F, 2001. The Flag Fen Basin: Archaeology and environment of a Fenland Landscape. English Heritage, UK. Pryor F, and M Bamforth,. 2010 (eds), Flag Fen, Peterborough, Excavation and Research 1995-2007. Oxbow, Oxford.